OK, hands up if you're perfect? Yep, just as I suspected. 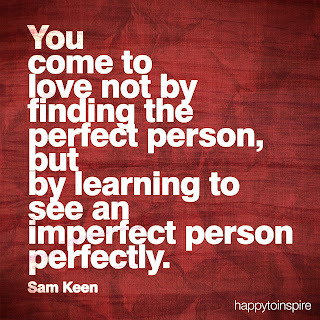 There is NOT ONE PERFECT PERSON ON THIS WHOLE PLANET! So why do we feel the need to be perfect ourselves, and to criticise others for not being perfect? 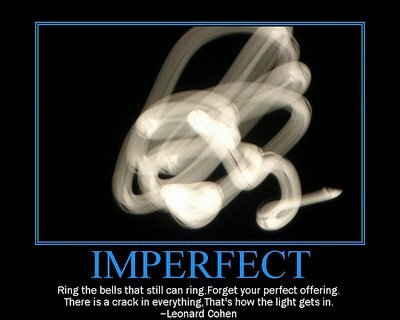 There's a world of difference between 'imperfect' and 'intolerable'. We all know people whose character traits (or lack thereof) make it impossible for us to have a relationship with them. You can pretty much fill the the gap here ______________________ with several names, I'm sure. 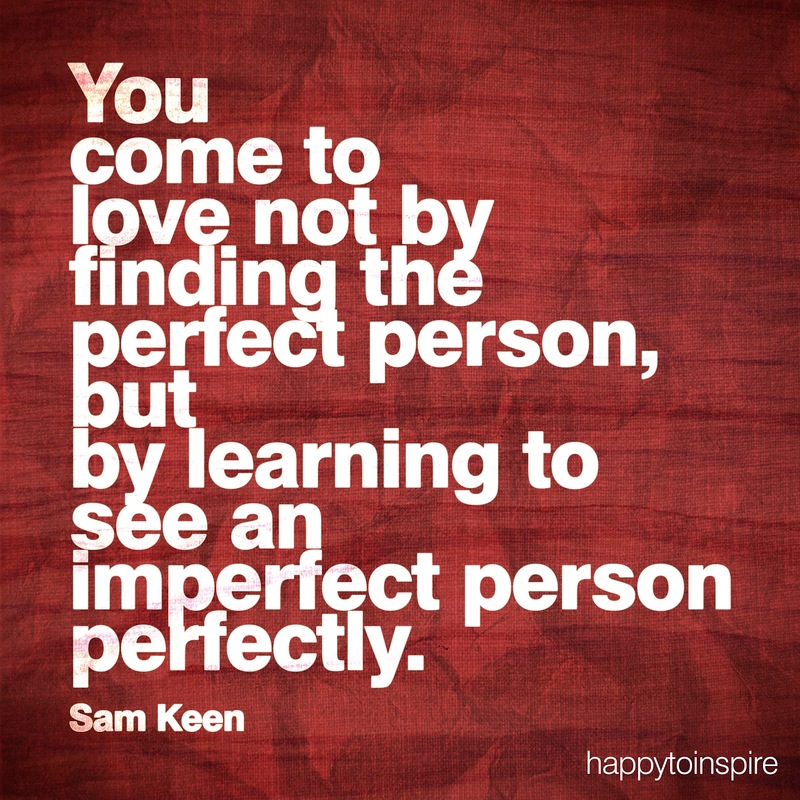 But that leaves a lot of imperfect people who we could learn to love, yes? Lots and lots of people that we could befriend, and learn from. Isn't that true? No, you're not perfect -- but that doesn't mean unacceptable. Let's stop trying to be who we're not. My hand is up. I know it's ridiculous because I am far from perfect in every criteria except one... I am the perfect me. There is no way I could be anything but. I fit the essentials of being me in every single way. Ah, yes -- the flaw in my 'perfect' post -- you nailed it. And thankyou for being mine. I'll return the favour, I'm sure. JUST for you, BTW. It took me 2 days to get it sorted. No pressure. Beautiful, T. There's your sword (of truth). I've always been happy to admit that I'm not perfect. There's always room to grow and learn. I think that if we were prefect love would be boring. Our mistakes allow us to grow. does my piddle look yellow in this?